Minoyama Park (美の山公園, minoyamakouen) is one of the Sakura (Cherry Blossom) Spots in Saitama, located in Chichibu. It has over 10,000 Sakura. The park is located on the top of Mt. Mino (蓑山, 586m high). 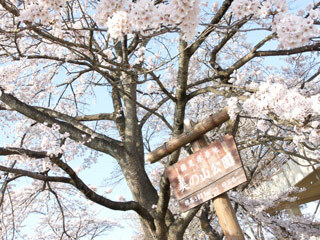 The park is opened in 1979 as a concept of making new Sakura Spot in Saitama. Not only Sakura, but there are also Tsutsuji, and Ajisai. So, you can enjoy Hanami (flower viewing) from April to June. Food shop is open in the park. There is no trash can. Bring it back with you. Minoyama Park, means park of beautiful mountain, has many flower gardens starting with Cherry Blossom, Rhododendron, Hydranga, and Lilium. Also, There are many observation stand for beautiful landscape.